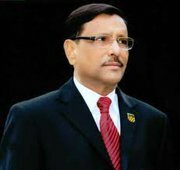 Mr. Obaidul Quader was born on January 01, 1952 in Bara Rajapur, a village under Companiganj Upazilla of Noakhali. His father Mosharrof Hussain studied at Calcutta Islamia College and happened to be a classmate of Bangabandhu Sheikh Mujibur Rahman. Quitting civil service his father engaged himself with noble teaching profession. His mother Fazilatunessa was from an noble Muslim family. 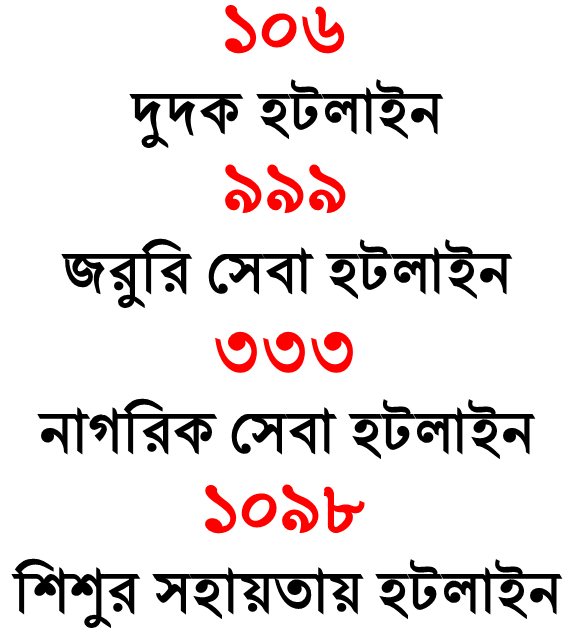 Always a commendable student, Mr. Obaidul Quader matriculated from Basurhat Government A.H.C. High School and got first division. He completed his HSC from Noakhali Government College and was placed in the merit list. He graduated from the University of Dhaka in Political Science. His wife Isratunnesa Quader is a prominent lawyer. A born dreamer as well as a natural orator, Mr. Obaidul Quader owns a long and rich political career. He is renowned as a sophisticated, generous, prudent and dedicated political leader. Since his college days, he has always been dynamically involved in politics. He played an active role during the 6-Point Movement in 1966. He took part actively in the Mass Upsurge and the 11-Point Movement of students in 1969. In 1971, he participated in the Liberation War of Bangladesh as the Commander of Companigonj Thana Mujib Forces. As a political leader, he has never wavered in his devotion to the party and the nation. He was imprisoned at several stages of his action-packed political life. After 1975, he was imprisoned for an uninterrupted two and a half years. While in prison, he was elected as the President of the Central Committee of Bangladesh Chhatra League (the student wing of Bangladesh Awami League), and he remained so for two consecutive terms. Mr. Obaidul Quader was a member of the Executive Committee formed to celebrate the Bengali Year 1400. He was also the member-secretary of the committee for celebrating the silver jubilee of the Liberation War and Independence. Mr. Obaidul Quader was elected as a Member of Parliament from the constituency Noakhali-5 in the 7th parliamentary elections of June 12, 1996. On June 23, 1996 he was appointed as the State Minister for Youth, Sports and Cultural Affairs. He carried out his responsibilities with utmost honesty and sincerity till July 15, 2001. He is the member of Presidium, Standing Committee and Parliamentary Board of Bangladesh Awami League. He served as the Secretary of Cultural Affairs and Education of the Central Executive Committee of Bangladesh Awami League from June 23, 2000 to December 26, 2002. 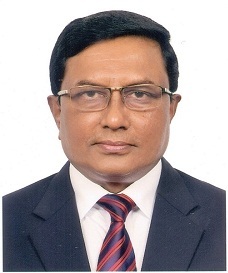 He was elected first Senior Joint General Secretary of Bangladesh Awami League from December 26, 2002 to July 26, 2009. While serving Bangladesh Awami League as the Joint General Secretary during the tenure of post 1/11 Caretaker Government, he was arrested on March 09, 2007 and remained in prison for 17 months and 26 days. Mr. Obaidul Quader was seriously wounded by the grisly grenade attack on August 21, 2004. He was admitted into the Apollo Hospital in Delhi where doctors removed about 80 splinters from his body. While he was in prison in the aftermath of 1/11, he became almost paralyzed on the right side due to the remaining splinters in his body. Later on, 14 more splinters were removed from his body from the same Hospital. Though he is in good health now, there are still 18 splinters left in his body. On November 2011 he took oath as Minister of the Government. On 5th December Honourable Prime Minister Sheikh Hasina had assigned him with the responsibility of the Communication Ministry. He had discharged his responsibility as Minister for Ministry of Communication with great devotion, patriotism, integrity, acumen and as a benovolent political leader. In his tenure he visited 63 districts of Bangladesh and enhanced the image and performance of the Communication Ministry a lot. He also continued as the Minister for Communication during All Party Government from 21st November 2013 to 12th January 2014. Mr. Obaidul Quader elected as a Member of Parliament on 5th January 2014 from the constituency Noakhali-5 for the third time in the 10th Parliamentary Election and took oath as the Communication Minister on 12th January 2014 for the second time. Mr. Quader has also been an active journalist and writer. He worked as the assistant editor of the newspaper the Daily Banglar Bani for a long time. So far, he has authored nine books namely, Bangladesh: A Revolution Betrayed (published in 1976 by Monisha Publishers, Kolkata); Bangladesher Hridoy Hote; Pakistaner Karagare Bangabandhu; Ei Bijoyer Mukut Kothai; Teen Somudrer Deshe; Meghe Meghe Onek Bela; Rochona Somogro; Karagare Lekha Onusmriti: Je Kotha Bola Hoyni and Nirbachito Column. His works have been acclaimed by eminent critics both in home and abroad. Mr. Obaidul Quader travelled India, Malaysia, Pakistan, Sri Lanka, United States of America, United Kingdom, South Africa, China, Germany, Singapore, Thailand, Turkey, Italy, Kingdom of Saudi Arabia and United Arab Emirates.